If you're hunting for a casual yet totally chic ensemble, consider wearing an Incentive! Cashmere turtleneck cable knit jumper and black ripped skinny jeans. Both garments are totally comfy and will look fabulous together. To add oomph to your look, round off with beige suede ankle boots. If you're hunting for a casual yet totally chic look, reach for an Incentive! 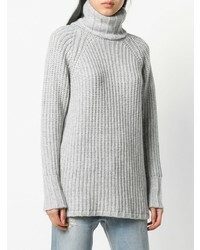 Cashmere turtleneck cable knit jumper from farfetch.com and charcoal ripped skinny jeans. Both garments are totally comfy and will look fabulous paired together. Kick up the cool of your look by complementing it with grey suede pumps. If you're in search of a casual yet absolutely chic getup, opt for an Incentive! Cashmere turtleneck cable knit jumper and a white shirtdress. Both items are totally comfy and will look fabulous paired together. When it comes to shoes, this look is complemented nicely with charcoal suede over the knee boots. If you're after a casual yet totally stylish look, go for an Incentive! Cashmere turtleneck cable knit jumper and black ripped skinny jeans. Both garments are totally comfy and will look fabulous paired together. When it comes to shoes, this outfit is round off brilliantly with black leather wedge ankle boots. If you're after a casual yet chic getup, wear an Incentive! 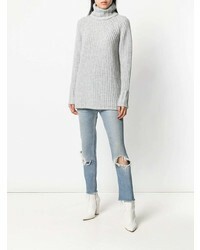 Cashmere turtleneck cable knit jumper from farfetch.com with navy flare jeans. Both garments are totally comfy and will look fabulous paired together. If you're on a mission for a casual yet totally chic outfit, marry an Incentive! 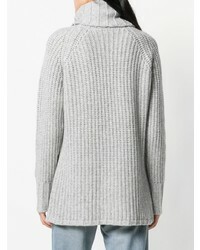 Cashmere turtleneck cable knit jumper with grey skinny jeans. Both pieces are totally comfy and will look fabulous paired together. Amp up the cool of your ensemble by finishing off with grey suede pumps. If you're on the hunt for a casual yet totally stylish ensemble, reach for an Incentive! 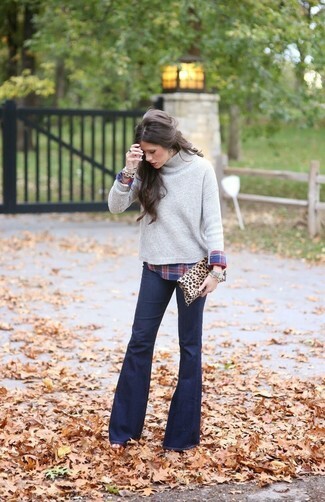 Cashmere turtleneck cable knit jumper and white skinny jeans. Both garments are totally comfy and will look fabulous paired together. If you're on a mission for a casual yet totally chic ensemble, choose a grey knit turtleneck and a black skater skirt. Both garments are totally comfy and will look fabulous together. Want to go easy on the shoe front? Go for a pair of black leather lace-up flat boots for the day. If you're hunting for a casual yet chic getup, marry an Incentive! 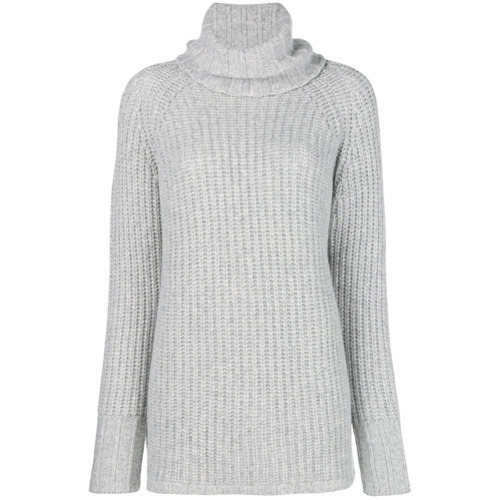 Cashmere turtleneck cable knit jumper with grey skinny jeans. Both items are totally comfy and will look fabulous together. And if you want to instantly up the style ante of your look with one piece, add grey suede pumps to the mix.